With our executive boxes all benefitting from outstanding views of the Franklin’s Gardens stage, there is no better place for 12 to 16 guests to soak up the atmosphere when Nile Rodger and Chic come to town. With two reserved parking spaces and fast-track entry into the stadium, your arrival couldn’t be easier. After you are led to your own private box, you and your guests will enjoy a welcome drink ahead of the pre-concert three-course grazing menu. 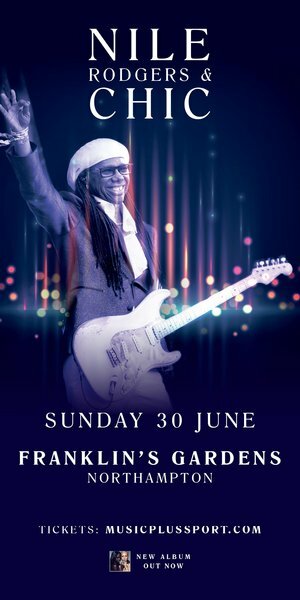 As Nile Rodgers and Chic begin to perform, you can take up your padded seat directly outside your box with a drink in hand – with our drinks package including complimentary drinks before and during the concert. All boxes are priced based on stage view line and capacity, with prices ranging from £2,520 to £3,360.